Colorful Punta Arenas lies 3,090 kilometers to the South of Santiago de Chile. This picturesque city is the most important urban center in the Magallanes Region. Lying 260 kilometers from Puerto Natales and 619 kilometers from Ushuaia, Punta Arenas is the access gate to the Sothern Region, also known as “the end of the world”. Due to its geographic location, the climate in this region is very harsh during the winter season, with temperatures barely above 0º C and regular snowfalls. The coming of spring and summer turn Punta Arenas into a much warmer city, with average temperatures ranging between 14 and 20ºC. Sunny days are the most longed for. Its commercial, cultural and social development has become consolidated in the last few years in Chile. Its position on the shores of the Strait of Magellan, on Brunswich Peninsula, provides a unique sea atmosphere that turns its streets, hills and harbor into a real paradise. Punta Arenas is the southernmost continental city in the world and it represents a port for the booming bioceanic traffic. Its main attractions include the Maggiorino Borgatello Salesian Museum; the Shepherds Monument, with its horse, its dog and sheep; the local Cemetery; the Patagonia Institute (a research center of the history and the resources of the region, along with the Memory Museum in its gardens); the Municipal Theater; Muñoz Gamero Square with its sculpture to commemorate the discovery of the Strait of Magellan by Ferdinand Magellan and splendid works that preserve tradition such as Gran Hotel Cabo de Hornos (Cape Horn Grand Hotel), public buildings and local corporation venues. But the queen of Punta Arenas in the last few years has been the tax-free zone, where visitors may acquire goods from all over the world with the benefit of being exempted from taxes. 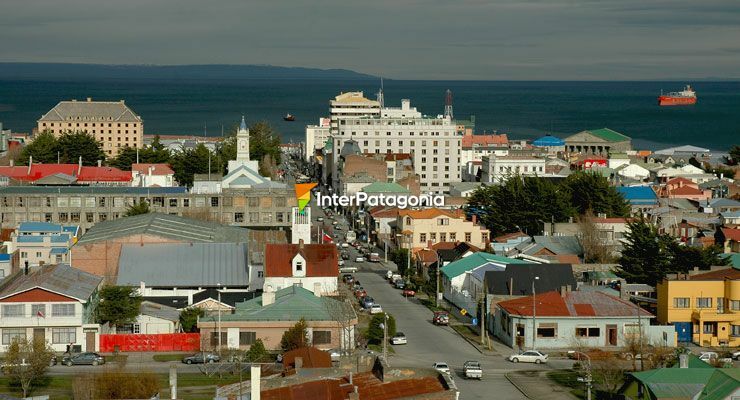 There is no doubt this advantage turns Punta Arenas into a perfect shopping destination.